Speeds Pharmacy are constantly reviewing and evaluating our performance to ensure maximum patient satisfaction. 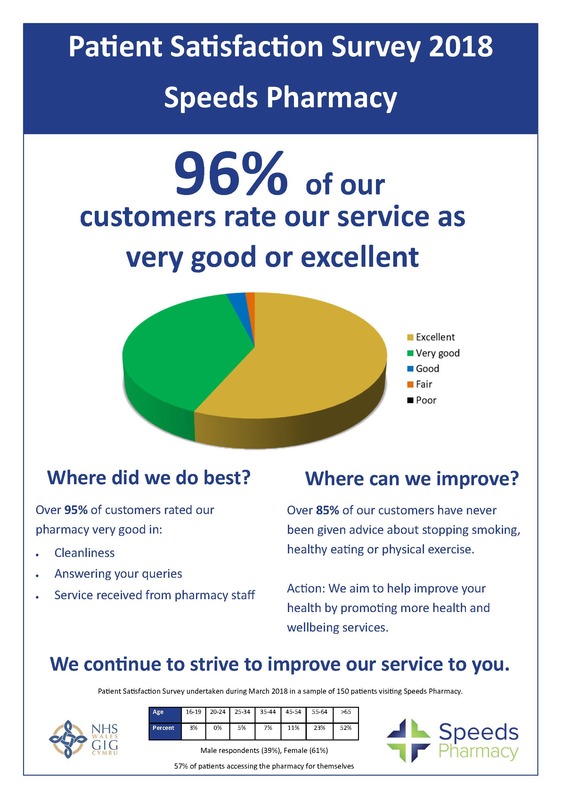 If you have recently had an experience in Speeds Pharmacy we would be keen to hear what you thought. The questionnaire below should only take a couple of minutes to complete and is completely anonymous. Just print off the form and hand it in, or post, to our pharmacy once complete. We are pleased to report that 96% of our customers rated our overall service as very good or excellent.